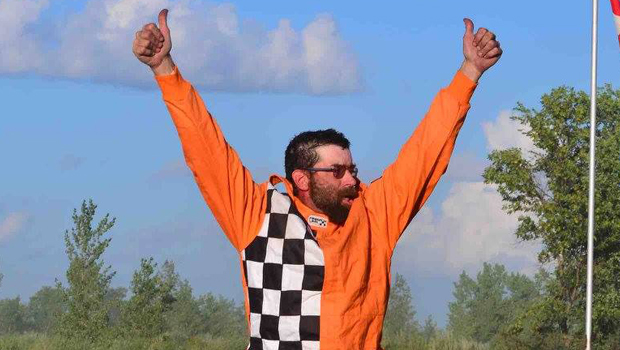 Donald McLeod, Morden, MB (July 24) Dean Miljure won a thrilling four way skirmish in the 4 Cylinder class at ALH Motor Speedway on July 24 while Bailey Cousins won again in Slingshots. These two classes had little trouble with the rather tricky conditions at the track. 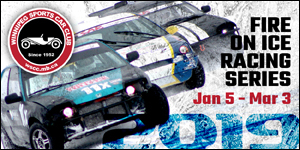 Racing was back on after over a month of inactivity due to rain and wet conditions. In the end Miljure managed to win both the heat and feature races. And each time he was followed by Rehill, Moir and Cabernel. Jack Richardson ran a Hyundia managing an eighth place finish ahead of Madison Brown in the heat. In the feautre he trailed the eight Fords. Bailey Cousins has mastered the Slingshots at ALH. 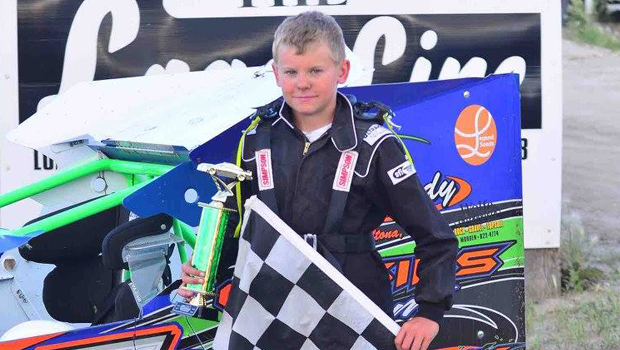 He won both the feature and heat races with Axel Anderson finishing second in both. Zane Anderson took third in the feature with Tyler Doell third in the heat race. These little cars run very well when the track is relatively smooth but with the smaller wheels, have some trouble with a bumpy track. Feature – Dean Miljure, Brandon Rehill, Lee Moir, Ian Cabernel, Ryan Higgins, Shane Rehill, Lane Peters, Madison Brown, Jack Richardson. Heat – Miljure, B. Rehill, Moir, Cabernel, Higgins, Peters, S. Rehill, Richardson, Brown. Feature – Bailey Cousins, Axel Anderson, Zane Anderson, Adam Unrau, Tyler Doell, Aiden Fehr, Brooke Cousins. Heat – Bailey Cousins, A. Anderson, Doell, Unrau, Fehr, Brooke Cousins.